SLOTDOG - Say Goodbye To Boring Hot Dogs FOREVER! SLOTDOG® doesn’t just make your SKINLESS hot dog look amazing, the slots created by the Stainless Steel Blades also help it cook quicker by allowing heat right in to the centre of your hot dog, and even taste better by creating crispy caramelized-edged squares which grab hold of your toppings with a Kung-Fu grip! 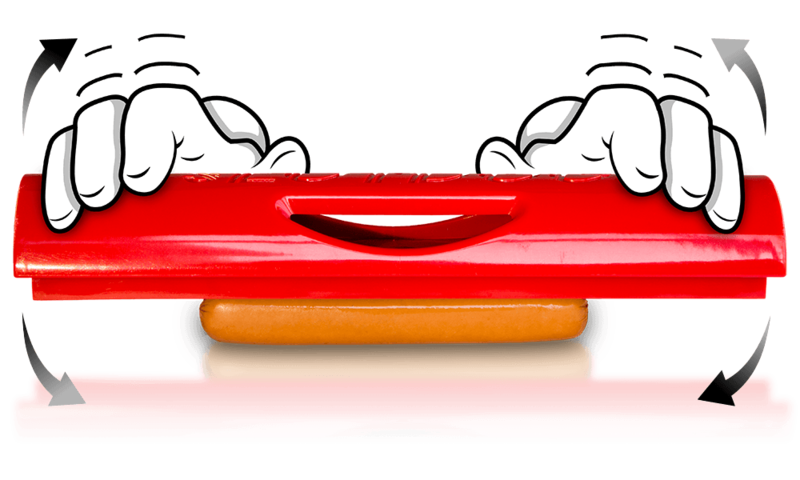 PUSH SLOTDOG® down on the SKINLESS fridge temperature hot dog with a rocking motion to pierce and slot your hot dog. 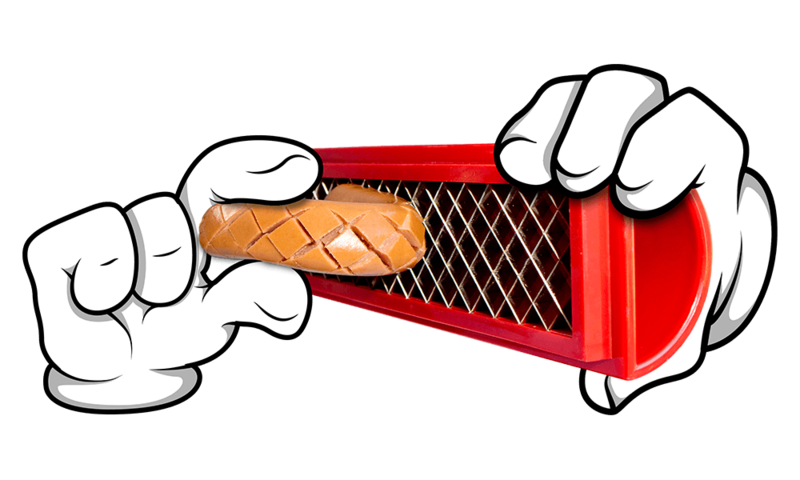 PULL the hot dog away from the blades carefully and repeat on the other side. 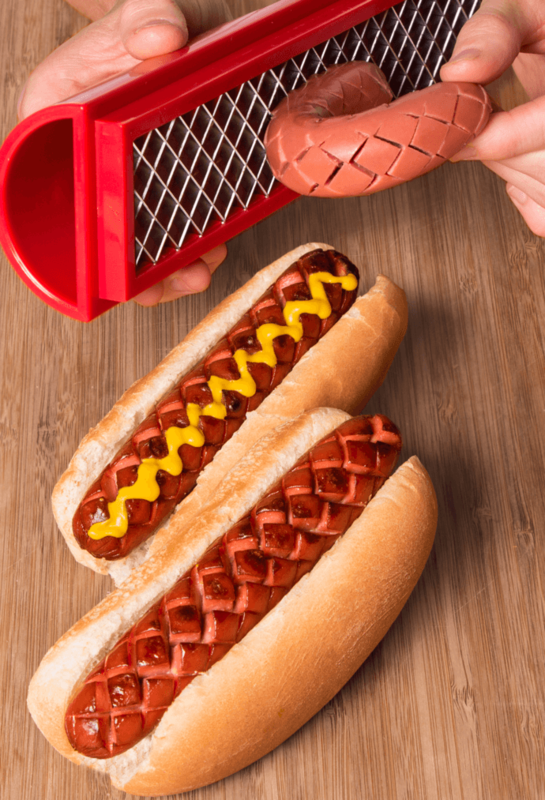 Using SLOTDOG® on both sides will prevent curling when cooking. GRILL and watch the slots expand and open up - that means it's hot and ready to serve. Enjoy your awesome tasty SLOTDOG® hot dog and share them with your friends. Stainless Steel Blades Cut Perfect Slots + Dishwasher Safe! 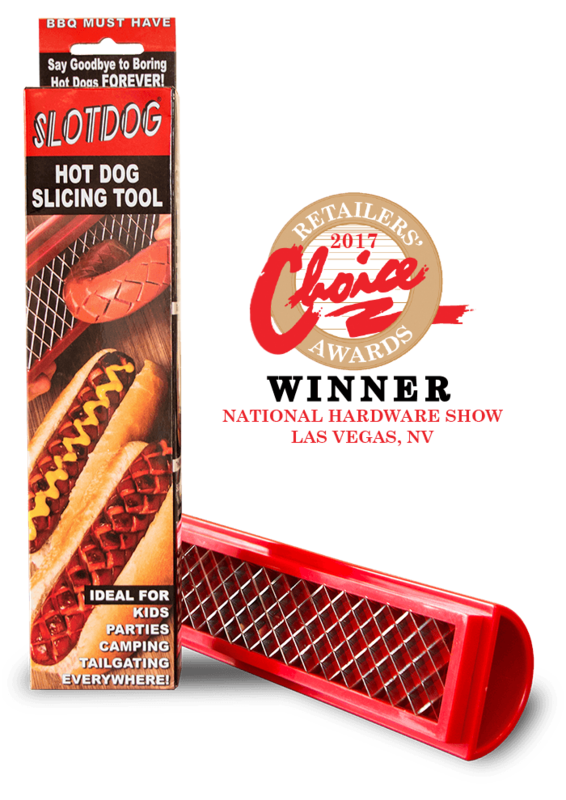 SLOTDOG® has a grid of stainless steel blades that create perfect criss-cross slots in your hot dog. The slots expand while cooking. Smoke, Grill Flavor, Seasonings and Rubs penetrate deeper. Juices caramelize on the edges for a crispy bite. Plus, the slots grab hold of your toppings with a Kung-Fu grip! 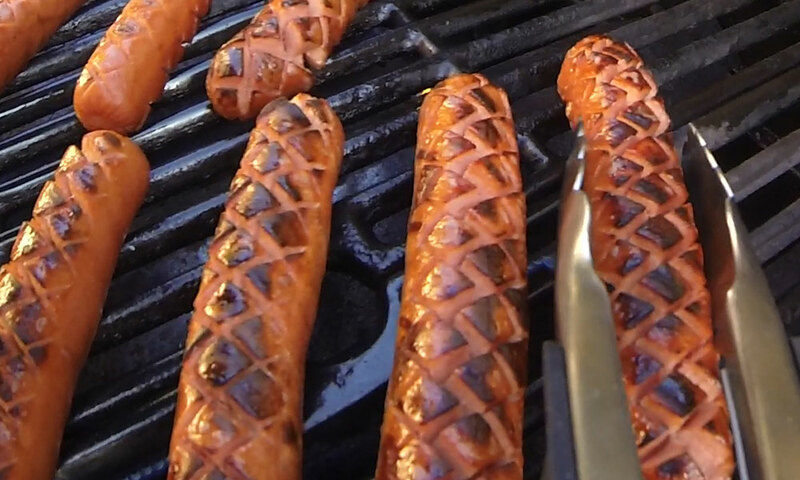 Your SLOTDOG® hot dogs will be the hit of your next party or tailgate. The perfect hot dog deserves the perfect condiment. 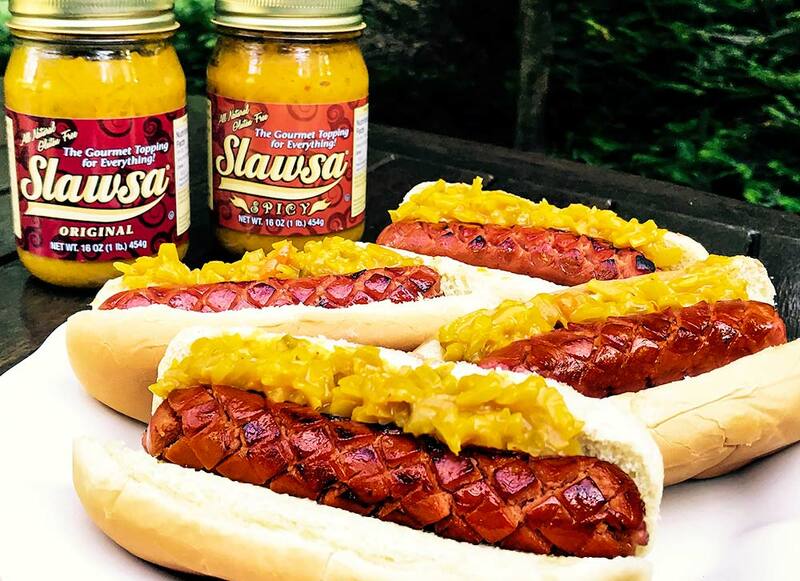 SLAWSA® is a delicious, all-natural wonder topping for hot dogs, burgers and more! As seen on Shark Tank and available in thousands of grocery and hardware stores nationwide and online. Visit Slawsa.com today!